Since establishment in 2016, BBY has worked to build a strong organisational base with strong governance policies, accountability to member organisations and a passion for change. Significant work has been undertaken to start building a shared way of working within Empowered Communities and for making decisions with Government over the long term. We are committed to learning through doing, and are developing ways to effectively measure our local and regional progress. Our regional development agenda identifies our shared priorities for the East Kimberley to improve economic, social and cultural development for Aboriginal people. Our shared goal for Aboriginal development is a community where every person has good health, a good home and strong purpose. Each person will achieve this because our families, our language and culture and our country are healthy. We will take our place in the regional economy. For now, this is not a reality for many in our community. Too many of our people are stuck in crisis - we need things to change. By building capability, leadership and opportunity, we can work to reinforce and strengthen the 5 social norms at the heart of Empowered Communities, to help people in crisis achieve stability, then change. We all have a part to play to help ourselves and each other create this positive change. Together we will work at every level - from individuals to organisations and Governments- to realise our vision. We will achieve this through our Regional Development Agenda, and the activities within it. Our Regional Development Agenda identifies our shared strategic priorities for the East Kimberley region to improve economic, social and cultural development for Aboriginal people. Community members have the opportunity to have their voices included in the Regional Development Agenda and plans for what happens in Kununurra. This community meeting was the first of many, where community members can be more involved in Empowered Communities, and be part of the change. Aboriginal individuals and families need to have greater opportunity to have their voices included in the Regional Development Agenda and plans for what happens in Halls Creek. This community meeting was the first of many, where community members can be more involved in Empowered Communities, and be a part of the change. In September 2018, members of Empowered Communities East Kimberley met over 3 days to discuss and unpack the regional priorities and goal setting. The ‘100+ Jobs Initiative’ was a proposal designed and led by Aboriginal leaders in the East Kimberley and handed to Federal Government in November 2016. MG Corporation was successful in winning the contract for the initiative, and launched the program in July 2018. 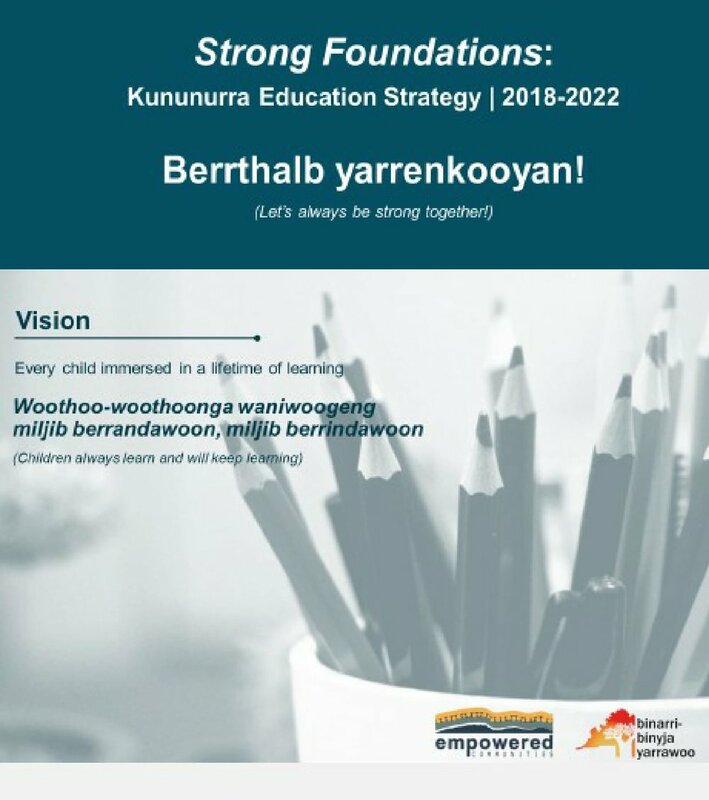 Empowered Communities East Kimberley is in partnership with the Western Australian Government to develop projects under the North West Aboriginal Housing Fund (NWAHF), an innovative approach that sees housing as a vehicle to better health, education and employment outcomes. The first project under the fund is the expansion of the transitional housing model in the East Kimberley, creating pathways from welfare to home ownership. It will increase housing options and support the participation of Aboriginal families in work and school so families have a greater chance of attaining economic independence.